The Scott plantation sat on the upper northwest curve of the James River's Horseshoe Bend between an old Indian ford and the mouth of the Totier Creek. This ford was the only breach in a six-mile barrier of bluffs along the north side of the James and provided a natural landing place for James River boats to off-load goods for wagon transport to the north. When Virginia established Albemarle County in 1744, county organizers selected this area to be Albemarle's first county seat. Indeed Scott's home may have served as a temporary courthouse until the permanent courthouse was built on a hill about a mile east upriver. After Edward Scott, a succession of people owned the property. 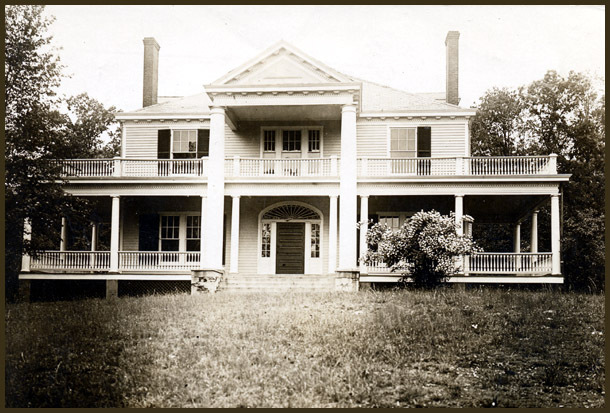 John W. Gantt purchased about 500 acres of the plantation in 1852 and left it to his son, Henry Gantt. Henry served as Colonel of Scottsville's Home Guard that was called up by the Confederate Army in April 1861 and became the 19th Virginia Infantry. In the waning stages of the Civil War, Union troops camped on the low grounds and meadows of Valmont, and when Colonel Gantt came home after the war, he found his invalid wife, living in the overseer's house. The Pitts family, who owned and lived on this property in 1908, found Colonel Gantt's sword hidden in a concealed closet next to the mantel in this house.